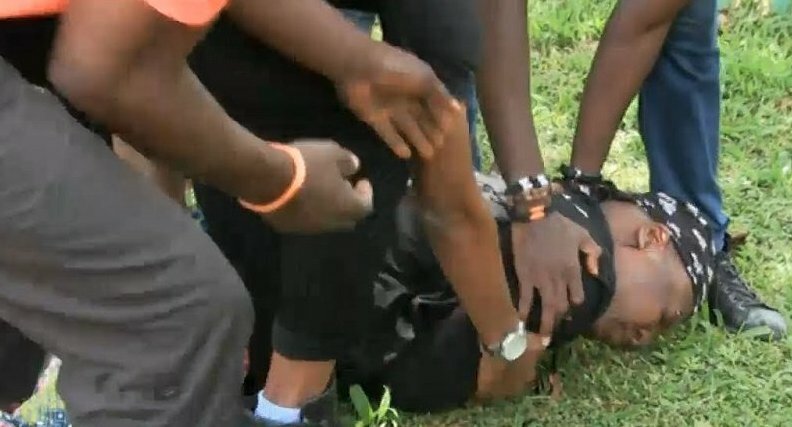 Nigerian singer Charles CharlyBoy Oputa has reportedly collapsed after a group of policemen fired tear gas and shot at him with water canons during a protest on Tuesday. 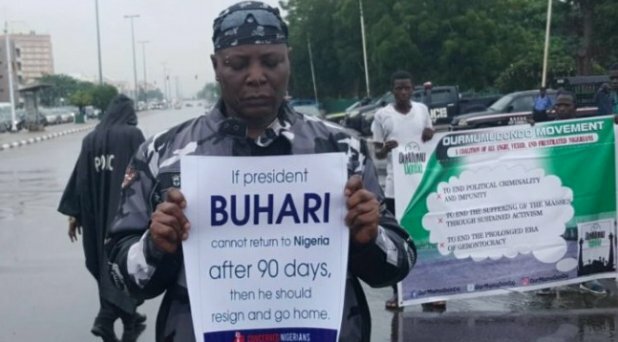 The veteran singer a.k.a Area Fada and a group of young men under the auspices of Concerned Nigerians and "Our Mumu Don Do Advocacy were out in Abuja protesting the continued absence of President Buhari from the country. They called for his resignation in the protest which has been tagged #ResumeorResign. The protest which started yesterday, saw the protesters march from Unity Fountain near Transcorp Hilton to the gate of the Presidential Villa. 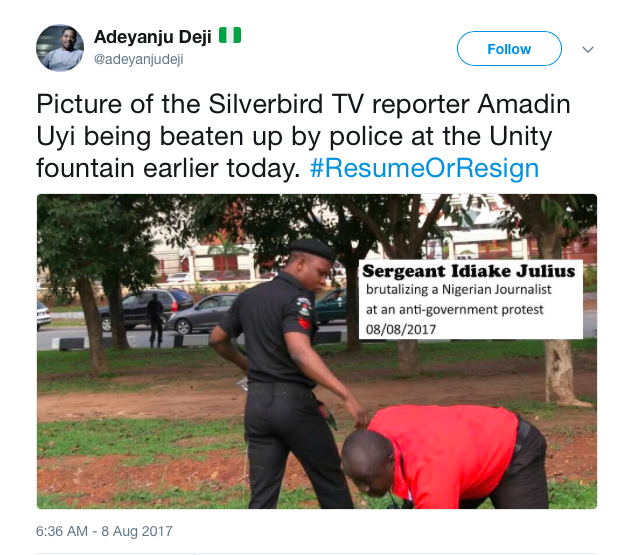 According to one of the conveners, Deji Adeyanju police stormed the protest venue, firing Water canon at them nd injuring a journalist who was on duty. The journalist is receiving treatment at the while Charly Boy's state of health is unknown.